Our business is not just about financial investments. 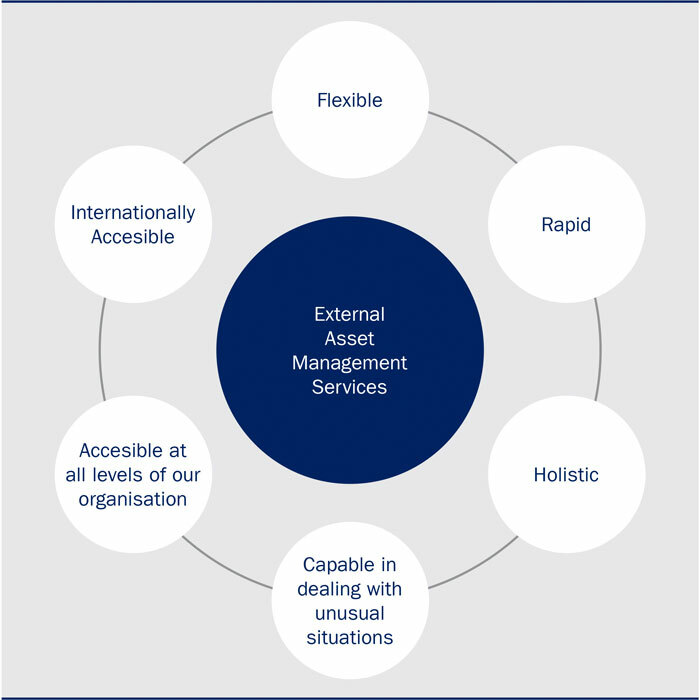 External asset managers benefit from a dedicated advisor (Relationship Manager) who will ensure that together, we meet the needs of your customers. The close partnership between the External asset manager and the Relationship Manager creates a spirit of trust and a proactive interaction. This human dimension allows us to meet clients together in an open and trusting environment. Located in Zurich, Basel and Geneva, a team of dedicated specialists within Bank J. Safra Sarasin’s External asset management Department will work alongside External asset managers to deliver quality service and expertise. Our internal network of experts ensures that we can call upon experienced specialists in particular areas.